Owen has been limited mainly to substitute appearances for Stoke this season. MICHAEL OWEN IS contemplating a move into management or coaching when he retires from football at the end of the season. The 33-year-old Stoke and ex-England striker said Tuesday he will call time on his playing days come the finish of the current campaign. Owen, who made his name at Liverpool before spells with Real Madrid, Newcastle and Manchester United, plans to continue working as a football pundit and will launch his own management company. Owen’s failure to command a regular place at Stoke this season prompted his decision to retire, with the forward having so far scored one goal in seven appearances for the Potters this term. It was with Liverpool that a 17-year-old Owen burst on the scene, scoring 158 goals in 297 games for the Merseysiders from 1996 to 2004. He made the rest of the world sit up and take notice with a superb solo goal for England against Argentina at the 1998 World Cup finals in France — one of 40 in 89 appearances for his country. But his career was blighted by a succession of injuries and Owen said: “I did not have a break for years and years. He added that had he started out as a professional with United, the strength of the squad at Old Trafford would have prevented him from playing too many matches at too young an age. However, Owen stressed he’s no regrets about joining Liverpool where he won the UEFA Cup, FA Cup and two League Cups. “I had the choice to join Manchester United when I was a kid but I chose Liverpool. Yes, I could be playing a bit longer, might have had a few more medals in a pocket but who knows? Owen came to be regarded as an expensive luxury by many Newcastle fans during his injury-hit spell with the north-east side. After his BBC interview, Owen went on to Twitter on Saturday to say he was never offered a new contract by the Magpies, who released a statement to that effect ahead of the 2008/09 season. Owen joined Newcastle for £17 million ($26 million) from Real Madrid in 2005 but left on a free transfer in 2009 when the club were relegated from the Premier League, joining Manchester United for the following season. “Newcastle fans, following my Football Focus interview, plenty of you tweeting me saying you don’t blame me for getting injured but for leaving when we got relegated,” he wrote on Twitter. Email “Michael Owen ponders move into management”. 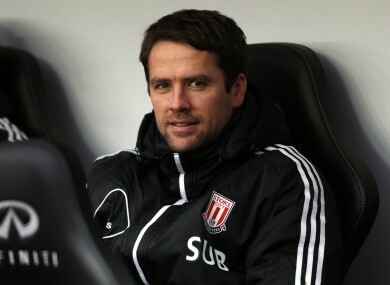 Feedback on “Michael Owen ponders move into management”.